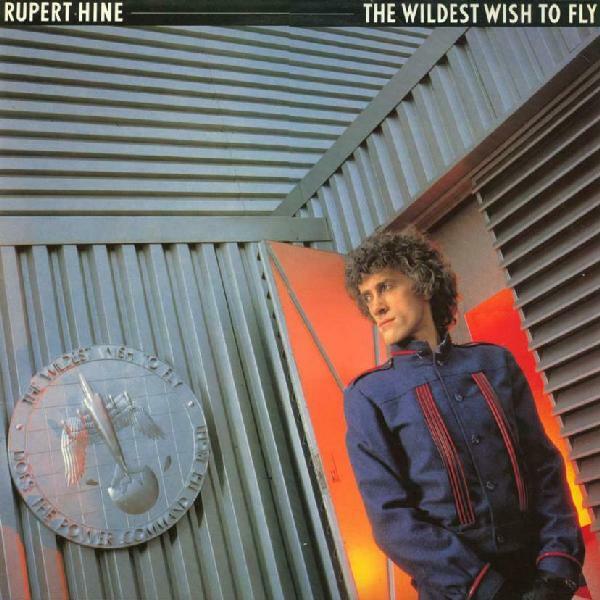 I first heard Rupert Hine when I happened to see his video for the incredible “Surface Tension” show up on one of my MTV “middle of the night” tapes. A lurching programmed rhythm begins the song as it inexorably builds to the soaring chorus via a series of smooth Moog arpeggios that almost subliminally build anxiety until the point of collapse. This was very high tech analog synth music that fit the landscape of 1981, yet beneath its surface, the faint whiff of Prog roots could be detected. This was claustrophobic, technological music with a focus on internal anxiety. The main difference was that song lengths were modest with plenty of hooks that made for a kind of “pop”‘ that wasn’t really popular. His “Immunity” album from whence came the “Surface Tension” single was a brilliant, idiosyncratic solo album that seemed to appear from nowhere. It is full of technological dread as realized by heavily treated Moog synths with few drums or percussion. But once you scratch the surface and it becomes apparent that Rupert had some deep roots in Prog. 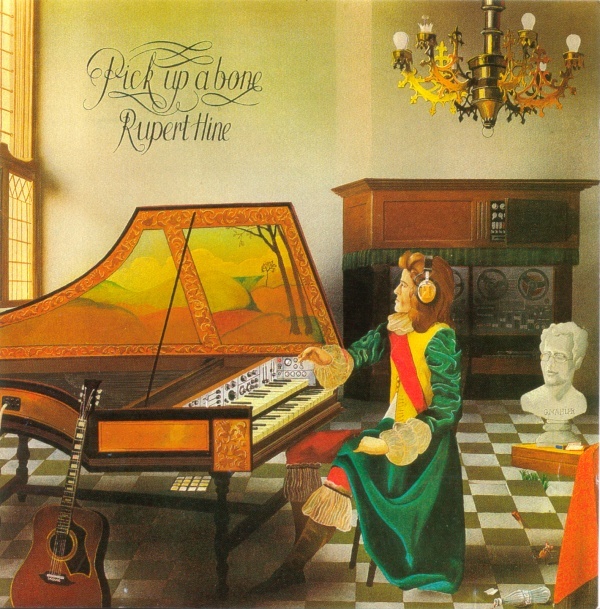 Observe his 1971 debut album “Pick Up A Bone!” Incredible – it looks like an Anthony Phillips [original Genesis guitarist] album! This little gem was produced by Deep Purple’s Roger Glover. In spite of the implication on the cover art, there are no synthesizers on the album credits. Hine made another album in 1973 and moved on to production work instead of making his own music. By the time he got the itch again in the early eighties, technology had advanced enough that he could almost be a one man show. 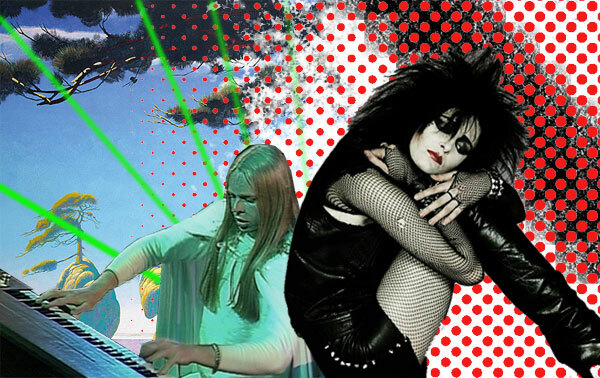 His mastery of synths was certainly without peer. And synth rock via gary Numan and Ultravox was very trendy by the time that he re-emerged as a Post-Punk butterfly from his Prog chrysalis. Hine made a series of three solo albums for A+M including “The Wildest Wish To Fly” and “Waving, Not Drowning.” His production work for the likes of The Fixx, Howard Jones, and Tina Turner was more than paying his bills, yet he still wanted to be in the game. He felt that his image was working against him. Then he concocted the brilliant Thinkman ruse. Thinkman were a play on the Walkman® and were only visually a band. 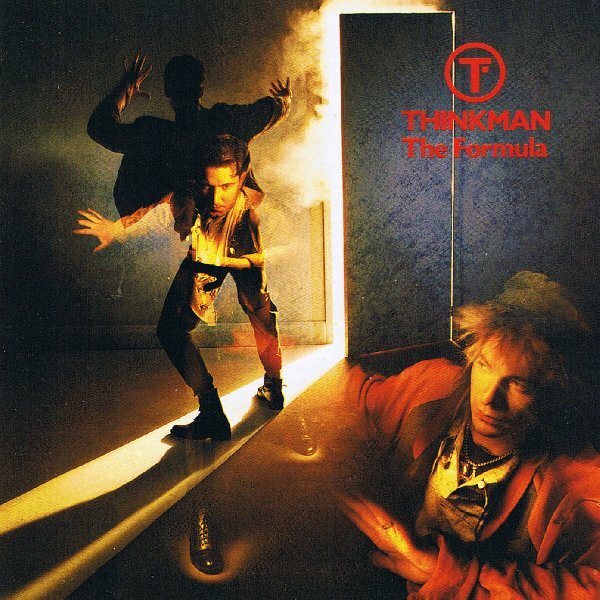 The three Thinkman albums are ridiculously high tech rock music with a dance music chaser and the occasional Prog length tune. They were actually the product of Hine himself, yet he recruited actors [including Julien Clary] to portray the other “members” of the band in videos and photo shoots as a way of deflecting the image of the music away from himself in the hopes that it would prove a hit. The album is another tour de force, possibly even stronger than “Immunity.” The leadoff single was the driving breakup song “Best Adventures” that was coupled with a video that was like Max Headroom on steroids. Ludicrous levels of technological filigree embroider the video while the hammering poly rhythms and soaring synths make for a very exciting 4:37. What, I don’t have the 12″ version of this??! This needs to be corrected! Songs like “Best Adventures” and the anti-TV “The Formula” are incredible productions that sound like little else out there in the mid-eighties doldrums enlivened by only a few groups at the time [primarily Propaganda]. Thinkman made three albums and then Hine seemed to give up the effort and stuck to his busy schedule of production that was rather successful, thoough I have to admit, given the choice between his production for the likes of The Fixx, Saga, and Chris DeBurgh, there’s no contest as to what I’d rather hear him using his time for! Most of the artists he’s produced rate rather low on my scale. A quick scan of his production work ironically reveals that he produced a host of Anthony Phillips albums! This does not shock me since in the early 80s Phillips was also making elaborate synth rock that was a far cry from the pastoral music he made his name with. This entry was posted in Your Prog Roots Are Showing and tagged Rupert Hine. Bookmark the permalink. There’s more to this story…what about the “Immunity” album? Or his bill-paying Tina Turner productions? Rumor has it he played “Immunity” live on stage – upside down! negative1ne – I just listened to The Hustle for the first time last week. It was very in-depth. Thanks for the tip!